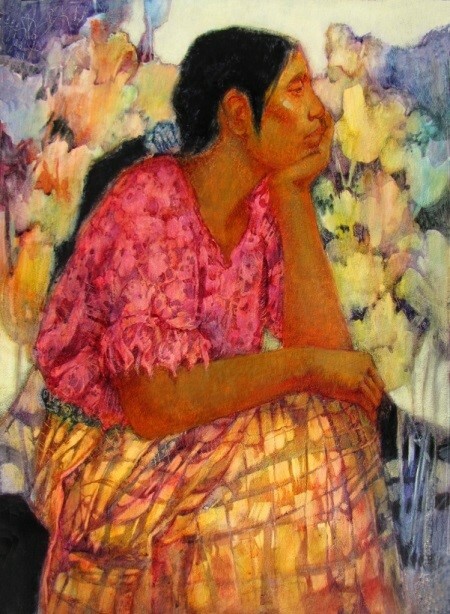 Jan Ledbetter is a noted watercolor artist of national reputation, a signature member of National Watercolor Society, San Diego Watercolor Society, Southern Watercolor Society, Watercolor Society of Houston, Baltimore Watercolor Society and Virginia Watercolor Society. Her work has been featured in numerous publications and in Mary Todd Beam’s book “The Creative Edge” and she was recently featured in the February 2013 issue of Watercolor Artist Magazine. Jan has taught and exhibited her paintings for over 30 years and currently lives in Williamsburg, Virginia. To see a sample of her work, please visit http://janledbetter.com. Jan’s classes will focus on the techniques of painting on gessoed paper with an emphasis on creating dynamic, original designs. On this surface, large areas can be repainted which gives you the luxury of working intuitively and expressively. Interesting patterns are created by lifting off paint. You will use your own drawings and photos from home as reference material. You will work at your own level and find your own style to build on your strengths. Morning and afternoon exercises will be presented Tuesday through Thursday with the final one given on Friday morning. Friday afternoon will be used to complete paintings that were begun earlier in the week. GESSO: Tuesday’s two exercises will focus on learning the techniques of painting on a gessoed ground. DESIGN: Wednesday through Friday’s exercises will be DESIGN CHALLENGES. Each exercise will have completely different subject matter, some using my reference materials, some using objects that you will bring from home, and another using images from your imagination. 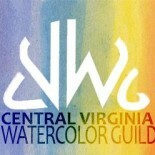 Central Virginia Watercolor Guild Workshop will be held at Zehmer Hall, Charlottesville, VA. Maximum 25 participants per workshop. Each workshop will cost $295 (members), $330 (nonmembers). Reserve your space with a $50 deposit, which is applicable to final fee. Final payment is due April 19, 2015 with check payable to CVWG Workshop. Send your deposit with your address, phone number and email address to Patty Richmond, 2395 Kingston Road, Charlottesville, VA 22901 Phone: (434) 296-2979; email: PattyRichmond@comcast.net. This entry was posted on May 1, 2015 by miatomaine in Classes/Workshops.